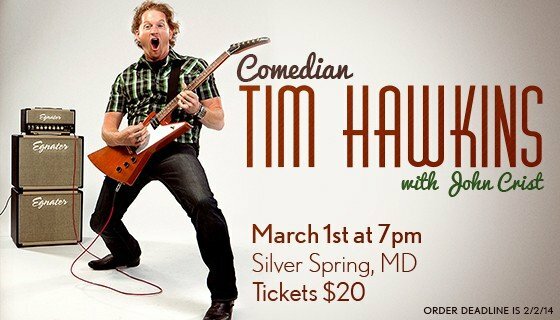 We are offering tickets to comedian Tim Hawkins comedy tour at Immanuel’s Church in Silver Spring, MD on Saturday, March 1st at 7p.m.. If you’ve never heart of Tim, you need to check him out. Tickets are $20. Our group will be carpooling so if you are willing to drive let us know. Ticket orders will be placed as a group on January 26th, place your order at church a.s.a.p. or email Steve at sforrester@lifechurchcalvert.com.